I am a full-time freelance actor and writer living in Cleveland, OH. I am a member of SAG and AFTRA. I primarily write and perform in industrial videos, but I also do TV and radio commercials as well as some occasional live performances. How and why did this video get produced? I used to do live stand-up presentations for Allen Bradley at various "automations fairs" and industrial trade shows. This was totally straight, no humor involved. I also did quite a few internal videos for AB. Their headquarters is in Milwaukee, and Jon Wright, the Director of Corporate Training (now retired) would have me fly in to do training films on occasion. On one occasion, I did an impromptu version of the Turbo Encabulator (the original version) that had been done on a Chrysler Technician training shoot, which I have been doing for about 20 years. It was originally performed by long-time Detroit talent Bud Taggart. Of course, the bit goes way back to the 40's, it just gets resurrected from time to time. Jon thought it was a riot and passed around this one-take no-camera-move version internally. The marketing guys got a hold of it apparently, and thought the AB distributors would have fun with it, so Jon brought me back up to do a more polished version. We added a few lines about the Rockwell products, since AB had recently been acquired by them, changed Turbo to Retro since it didn't seem an electronic device would have a Turbo anything, and shot the thing in about 2 hours. Tell me more about Bud Taggart. 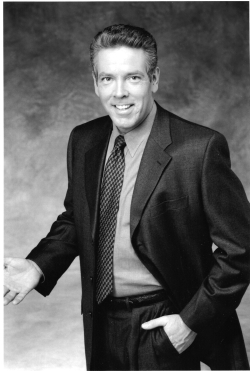 Bud Taggart is a veteran Detroit area on-camera and voice-over talent, and was the "Master Technician" on Chrysler's "Master Tech" video series, the longest continuously-running training video in history. It's currently at around 55 years of monthly production. After Bud was retired from the program, I moved up from the "greenhorn technician" role to the Master Technician role, which I still do, but not on a monthly basis. They currently rotate other narrators into the slot. The first time I saw it (with Bud) I nearly cried laughing. He had a much drier delivery, plus he was wearing a white lab coat, and had white hair. He looked very scientific. 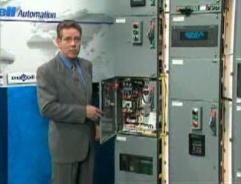 We then did a follow-up video, with me doing an original piece on Diagnosis and Repair of the Encabulator. I don't know where a copy exists, but I might be able to find one if I go through the right channels. How on earth did you memorize the script? I do the performance using a wireless ear prompter, and just repeat what I hear. How did you perform this without laughing or even cracking a smile? I am a professional. Do not try this at home. Do you know who put the video on the internet? I don't know who is responsible for getting the video to ebaums world, but I believe that's how it took off so fast. Why is the retroencabulator video so popular? Itâ€™s just the fact that so many people have had to sit through so many educational/industrial videos that look and sound just like this one and they're dead serious and deadly dull. From the engineers to the marketers to the distributors, they all have to know about the product in order to present it to customers, and sometimes that means having to know your cardinal grammeter from your girdle spring. The true beauty of the Encabulator video is when it is trotted out as an actual training piece and you just wait to see the reactions. The first tip-off is the line "crudely conceived idea" which would never be written in a promotional/educational piece. Seeing the reactions when they realize it is a fake is priceless, especially when there are those who still think it's serious after others "get it." Now, of course, the cat's out of the bag, and it's always, "Hey, you gotta see this... it's a riot" before seeing the video. It's still funny, but in a "yeah, I get it" kind of way. Do you know of any other earlier documentation? Years ago I found a far more voluminous posting with pages and pages of data and descriptions, but I didn't save it, and it seems to be unavailable now.Â It would be fun to find the original document, the Electrical Engineers Student's Quarterly Journal of 1944. But I suppose that's a tremi-pipe dream. Is there any chance of you making a sequel? Yes, a cameraman/director friend who used to shoot the Master Tech series is envisioning doing this as a period piece, like an old late 50s-early 60's training film complete with scratches, pops etc. He's quite talented in the digital field and is excited about doing it. I've reserved Retroencabulator.com for future use. Thanks for interview Mike.Â Weâ€™ll be looking forward to getting trained on our retro-encabulators. Submitted by Anonymous (not verified) on Sun, 2011-04-24 18:00. If this is a Chrysler video, why is the person wearing a GMC Truck lab coat?